Recycling synaptic vesicles. 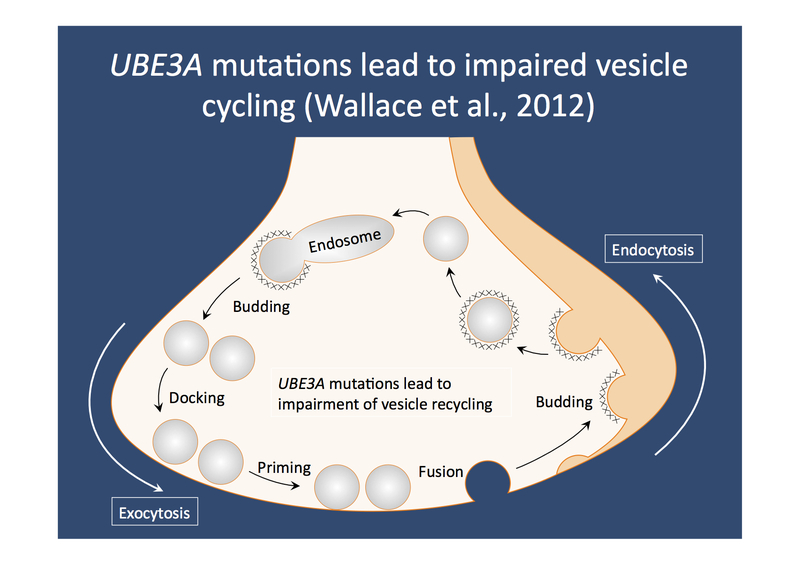 UBE3A is important for rapid vesicle recovery. Furthermore, UBE3A is more important in interneurons than in pyramidal cells, explaining the dysregulation between GABAergic and glutamateric synapses in the CNS.